Family Portrait, Virginia. November 3, 2014. Today’s favorite photo was such an easy pick. 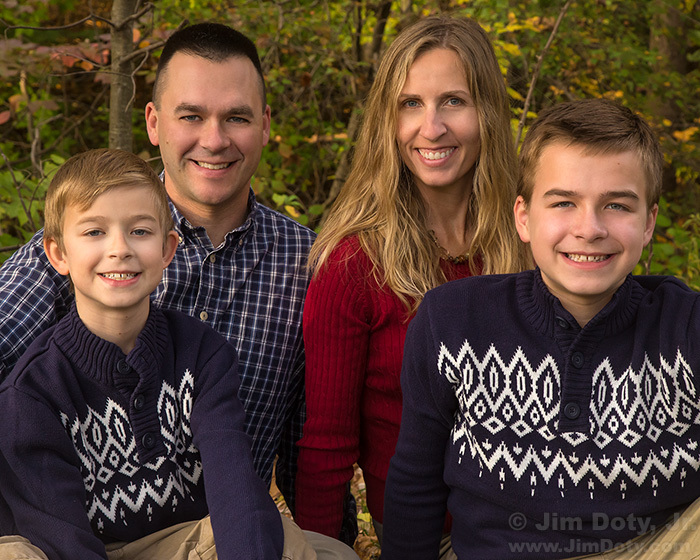 A few years ago our oldest son wanted a family portrait. We went to a wooded area not far from his home and created some images. 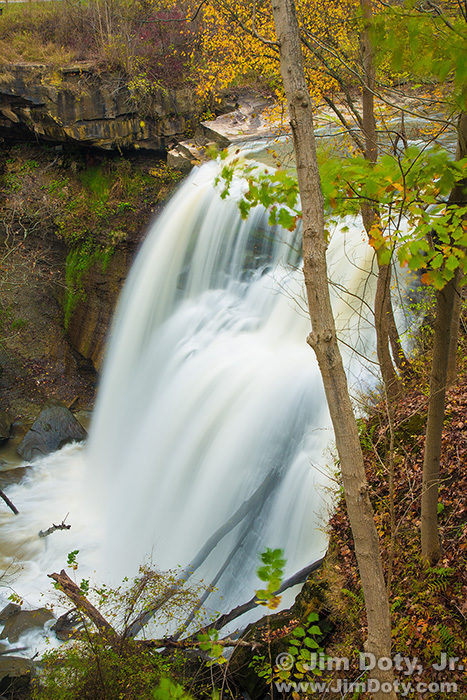 Cuyahoga Valley National Park, Brandywine Falls area, Ohio. November 3, 2017. 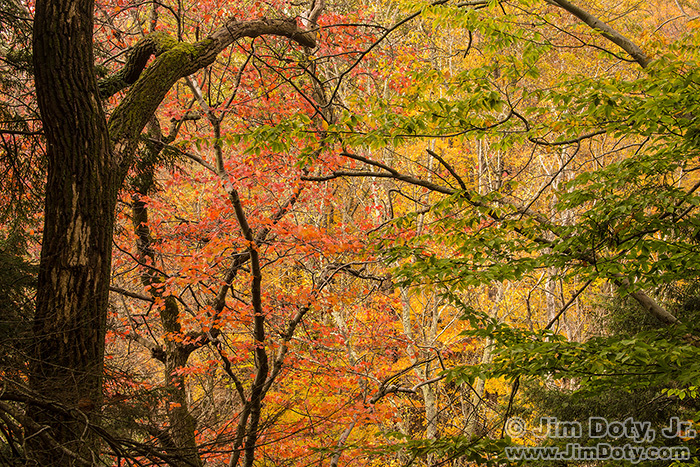 My second favorite photo for November 3 comes from Cuyahoga Valley National Park. A good photo buddy and I (he will show up in this series of articles later on) spent the day there having a great time taking pictures. This photo is atypical for me. Usually I would call this kind of image “cluttered” and pass on by. But this one I like. I reminds me of the work by Eliot Porter, and that may be why I like it. This is more like the kind of image I prefer to create. It has strong lines created by the dark tree trunks against the lighter autumn leaves. This is my third favorite image for the day. 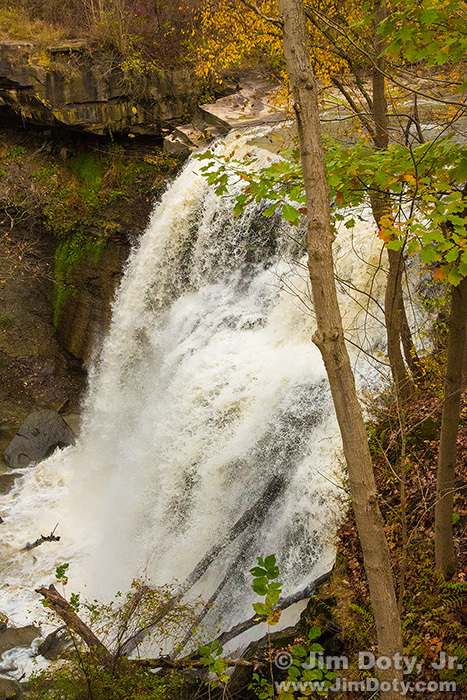 Brandywine Falls, Cuyahoga Valley National Park, Ohio. November 3, 2017. 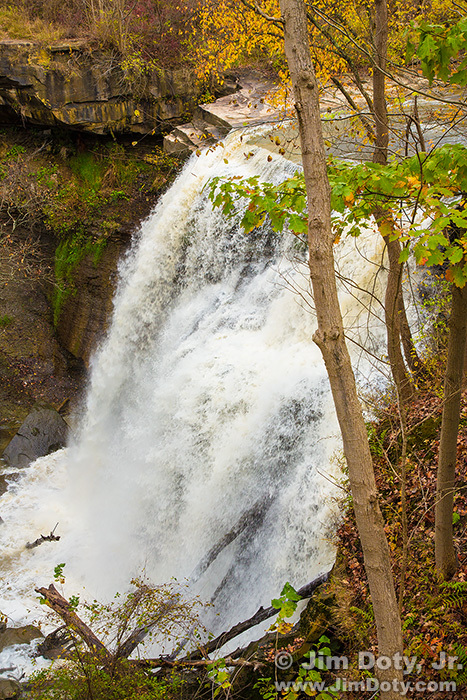 For many photographers, Brandywine Falls is the classic image of the park. I was experimenting with shutter speeds to get different versions of the waterfall. To get the shutter speed range I wanted I had to play with high ISOs for the really fast shutter speeds and use a polarizing filter and slow ISOs to get longer shutter speeds. This photo was taken at f/22, 0.8 seconds, and ISO 100. Long shutter speeds (around 1 second or longer) will give you a creamy, “angel hair” waterfall. Some people like them and some don’t. This is my fourth favorite image of the day. In contrast this photo was taken at f/11, 1/125 sec, ISO 400. For many waterfalls, a shutter speed around 1/125 or 1/60 second give you a photo that looks like what the naked eye sees. A really fast shutter speed (1/1000 sec or faster) can freeze the “water”. This photo was captured at f/11, 1/2000 sec, ISO 6400. 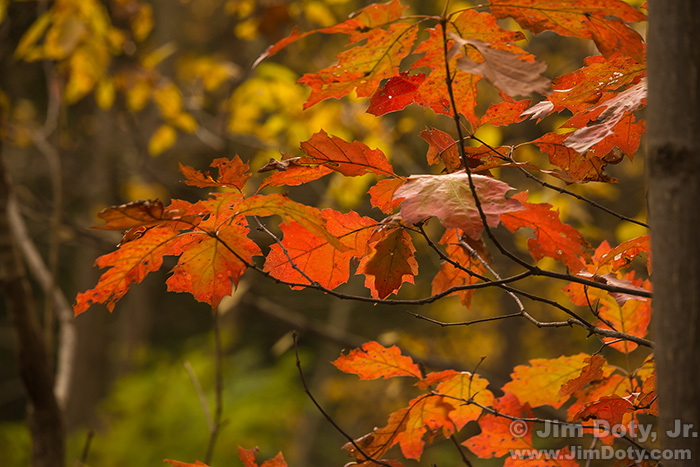 Autumn Leaves, Cuyahoga Valley National Park, Ohio. November 3, 2017. This image of autumn leaves is my fifth favorite photo for the day. 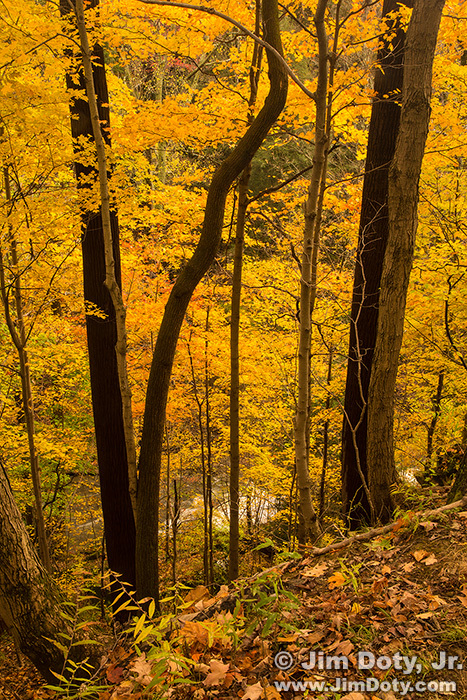 Fall is a great time of year to go to Cuyahoga. Late October and early November is usually the best time to go. If you haven’t been there before, I would suggest you head for the Brandwine Falls area first. This entry was posted in Photographs, Techniques by Jim. Bookmark the permalink.